It’s not as though it’s new; Roslyn CTP was announced in the fall of 2011, and people have been able to play with it since then. Roslyn is a quietly ground-breaking concept — a set of compilers that exposes compiling, code modeling, refactoring, and analysis APIs. Oh, and it was recently announced that the tool would be open source meaning that all of you Monday morning quarterback language authors out there can take a crack at implementing multiple inheritance or whatever other language horrors you have in mind. I have to say that I, personally, have little interest in modifying any of the language compilers (unless I went to work on a language team, which would actually be a blast, I think), but I’m very interested in the project itself. This strikes me as such an incredible, ground-breaking concept and I think a lot of people are just kind of looking at this as a curiosity for real language nerds and Microsoft fanboys. The essential value in this offering, to me, is the standardizing of code as data. I’ve written about this once before, and I think that gets lost in the shuffle when there’s talk about emitting IL at runtime and infinite loops of code generation and whatnot. Forget the idea of dispatching a service call to turn blobs of text into executables at runtime and let’s agree later to talk instead about the transformative notion of regarding source code as entity collections rather than instruction sheets, scripts, or recipes. But first, let’s get going with Roslyn. I’m going to assume you’ve never heard of this before and I’m going to take you from that state of affairs to doing something interesting with it in this post. In subsequent/later posts, we’ll dive back into what I’m driving at philosophically in the intro to this post about code as data. If you’re like me, your version was 2.7.something and it needs to be 2.8.1something or higher. This update will get you where you need to be. Once you’ve done that, you can simply install the API libraries via Nuget command line. With that done, you’re ready to download the necessary installation files from Microsoft. Go to http://aka.ms/roslyn to get started. If you’re not signed in, you’ll be prompted to sign in with your Microsoft ID (you’ll need to create one if you don’t have one) and then fill out a survey. If you get lost along the way, your ultimate destination is to wind up here. At this point, if you follow the beaten path and click the “Download” button, you’ll get something called download.dlm that, if your environment is like mine, is completely useless. So don’t do that. 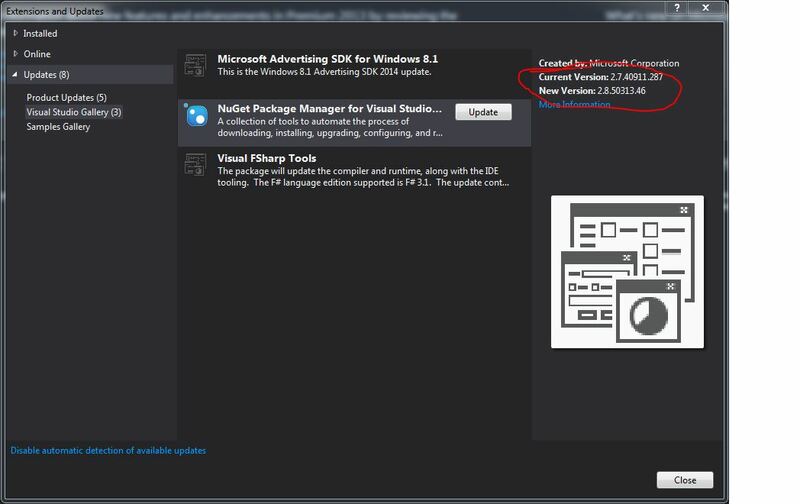 Click the circled “download” link indicated below to get the actual Roslyn SDK. At this point, if you hit F5, what you’re going to see on the screen is a list of the fields contained in the class that you specify as your “sourceCodePath” variable (at least you will with the happy path — I haven’t tested this extensively to see if I can write classes that break it). Now, could you simply write a text parser (or, God forbid, some kind of horrible regex) to do this? Sure. Are there C# language modeling utilities like a Code DOM that would let you do this? Sure. Are any of these things the C# compiler? Nope. Just this. So think about what this means. You’re not writing a utility that uses a popular C# source code modeling abstraction; you’re writing a utility that says, “hey, compiler, what are the fields in this source code?” And that’s pretty awesome. My purpose here was to give you a path from “what’s this Roslyn thing anyway” to “wow, look at that, I can write a query against my own code.” Hopefully you’ve gotten that out of this, and hopefully you’ll go forth, tinker, and then you can come back and show me some cool tricks. is this similar to introspection ? 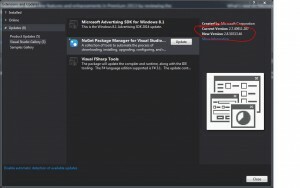 Is it possible to execute script with roslyn in the end user preview? Are you really sure it works in end user preview? I think they might have removed the scripting bits. Forgot to answer, but the script engine is removed but it will be put back later according to the documentation. Good to know — thanks for the follow up. I’m unable to get the method ParseFile why so ? The Roslyn project is under ongoing development, and this post is over a year old, so they may well have changed things around in the interim. I wish I could be more help, but it’s been a while since I’ve touched this. Looks really thorough. I’ll have to give it a more in-depth read when I get back from my vacation. Wow, that’s a very detailed writeup. Nice job! It’s interesting to see how and why they implemented the facets of the compiler. It’s been a lot of years since I did anything like compiler design, so a gentle introduction is certainly appreciated.